Know a hunter? We found fun Range Targets Stickers in fun UFO & Zombie & Alien motifs on Amazon! Hurry and get the GearOZ Adhesive Range Targets Stickers-Multiple Targets Spots (25 pack) today for only $9.99 as low as $4.79 from Amazon when you clip the 20% off coupon! There are several choices. Quickly see all variations HERE. 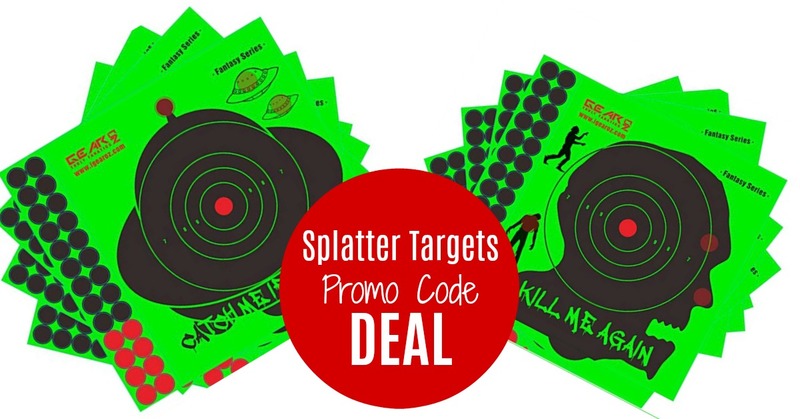 Neon Green Shooting Targets GearOZ splatter targets are inspired by the hunting sport.Hunting is an interesting sport,but most of them required hunting license in specify season. 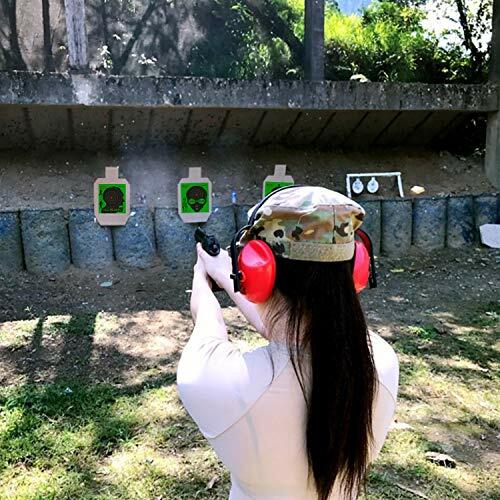 Before the opening season, many hunters need to practice shooting skill to catch the animal they desire during hunting season.To enhance the fun and create realistic shooting experience,we design hunting series and fantasy series to be your shooting targets. The bright neon green sticker makes your shots highly visible both indoor or outdoor. The bright green bullet holes are visible in all light conditions without any help of binoculars or spotting scopes, great for people with reduced vision. Their hearts,eyes,ears,legs,tails,noses etc,all could be your shooting targets. Buy the GearOZ Adhesive Range Targets Stickers-Multiple Targets Spots for Shooting,High Visibility Green Animal Paper Targets-Raccoon Targets from Amazon.